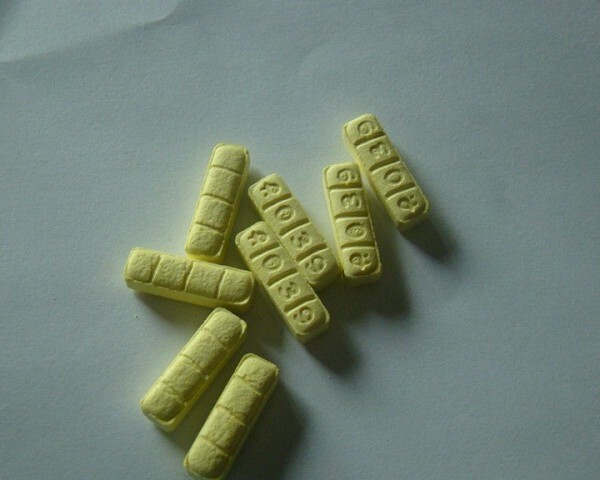 In its pill form, the appearance of Xanax is that of a three-scored tablet that can be broken into four equal parts, generally 0.5 mg each, although this may vary depending on the quantity of the tablet as a whole. There are determining factors in Xanax dosage such as age, body weight, other prescription or non-prescription medications and current or past medical conditions. For panic disorder, your doctor will most likely start you out with a low dosage of anywhere between .25 mg and .5 mg taken three times per day. This dosage is then gradually increased in increments of .25 mg every three to four days to a maximum of 4 mg in order to best meet your therapeutic needs. If doses of more than 4 mg are needed, your doctor will need to frequently reassess your need for continued higher dosages. In treating patients with anxiety disorder, Xanax is nearly always started at a higher dose of .5 mg and then gradually increased by .25 mg every three to four days to a maximum of 4 mg until symptoms improve. As stated previously, if more than 4 mg per dose is required, the patient can expect to be frequently reassessed for dosage needs. It is recommended that patients take the lowest possible dose of Xanax and continued, frequent communication with your doctor is important in order for him or her to adequately assess and reassess your dosage needs. A patient is considered “special case” when they are elderly, have a history of liver disease or suffer from any serious diseases. Special case patients, especially the elderly, are more susceptible to the side effects of Xanax and will therefore be started off at lower doses of about .25 mg which will be gradually increased by .25 mg every three to four days until symptoms are under control. Xanax users can expect an improvement in symptoms within the first hour of taking their first dose of medication. It is important to maintain an even schedule between doses of medication to allow Xanax to effectively work throughout the day. If you miss a dose of Xanax, do not for any reason take two doses in order to make up for the missed dose. Simply take the next dose on schedule to avoid withdrawal or overdose symptoms. If for any reason you or your doctor decide to lower or discontinue your dosage of Xanax, do NOT stop taking your Xanax all at once. Instead, your doctor will gradually lower your dosage by approximately .25 mg to .5 mg every three days. If withdrawal symptoms occur, your doctor will likely increase your dosage to the previous dosage level for an additional three days before lowering it again. In rare cases, patients may continue to experience withdrawal symptoms, regardless of how slowly their dosage is lowered. Your doctor can advise on how best to handle withdrawal symptoms in these rare cases.